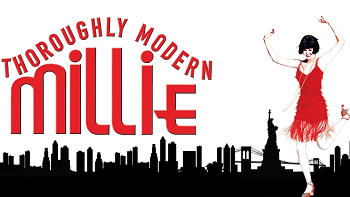 Thoroughly Modern Millie takes you back to the height of the Jazz Age in New York City, when “moderns,” including a flapper named Millie Dillmount, were bobbing their hair, raising their hemlines, entering the workforce and rewriting the rules of love. Filled with frisky flappers, dashing leading men and a dragon lady of a villainess that audiences will love to hate. A high-spirited musical romp and a perfectly constructed evening of madcap merriment.